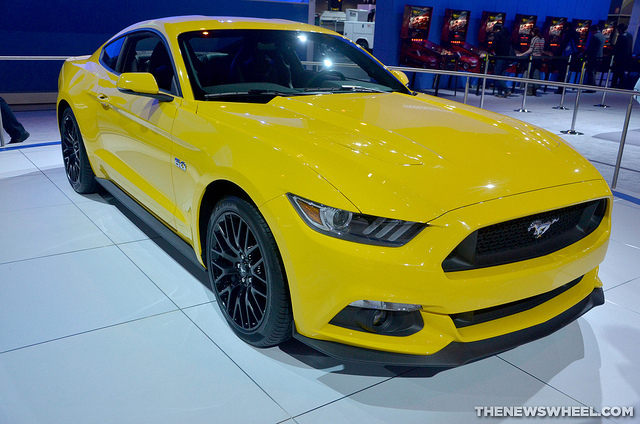 The much awaited specs for the 2015 Ford Mustang have just been released and will not disappoint! The Mustang has been an iconic pony car for decades and has a strong following with many admirers, so it is crucial that is comes out on the top of its game. With a 5.0-liter V8 engine under the hood, this pony car will get as much as 435 horsepower and 400 pound-feet of torque. Other engine options include the 2.3-liter turbocharged EcoBoost, and the 3.7-liter V6. Ford has done a drastic redesign on the 2015 model which will have a new suspension that features an independent rear setup, heavier brakes, and an upgraded infotainment center. Who doesn’t love a good infotainment center? Many of the performance figures that have been revealed were better than Ford had originally projected. Ford’s Special Vehicles Team is still at work so keep check for more 2015 Ford Mustang updates.